Voskamp oversaw the preservation lab within the conservation department and was responsible for designing and producing a wide variety of preservation housings and structures for departments within the Ransom Center. She also worked part time in archives and visual materials and processed multiple archives, including the Norman Mailer papers. One of the most unusual items in the Ransom Center’s collections resides within the Gloria Swanson archive, and it’s as challenging as it is amusing. 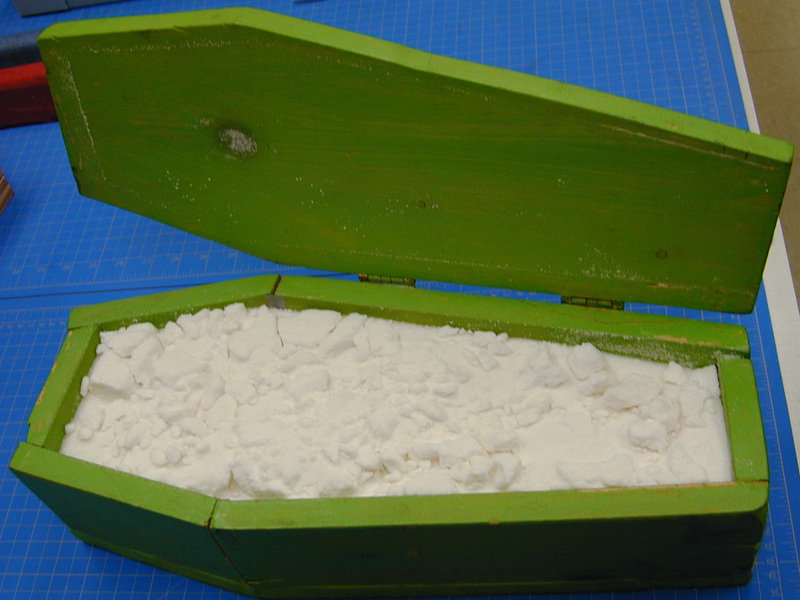 The “sugar coffin,” as it has become known, was given to Swanson by avant-garde filmmaker Kenneth Anger, in response to a lawsuit filed by Swanson against Anger. A little backstory: When Anger wrote his salacious tell-all-book Hollywood Babylon he included a chapter on the death of Lana Turner’s boyfriend, mobster Johnny Stompanato, who was killed by Turner’s daughter. In the chapter, Anger mistakenly quotes Swanson as saying Turner was “not even an actress… she is only a trollop.” Anger was apparently unaware that when it was first printed by Hollywood gossip columnist Walter Winchell, Swanson had the quote retracted. When Swanson was alerted to Anger’s use of the false quote she filed a libel suit against him and his publishers, but before the verdict was handed down, Swanson began receiving hate mail from Anger, including voodoo dolls and mutilated photographs with pins stuck through them. Anger knew Swanson was a serious health fanatic (William Dufty, her sixth husband, wrote the book Sugar Blues), so he filled a green, foot-and-a-half-long coffin with sugar, writing Hic Jacet (Here Lies) Gloria Swanson on its lid. 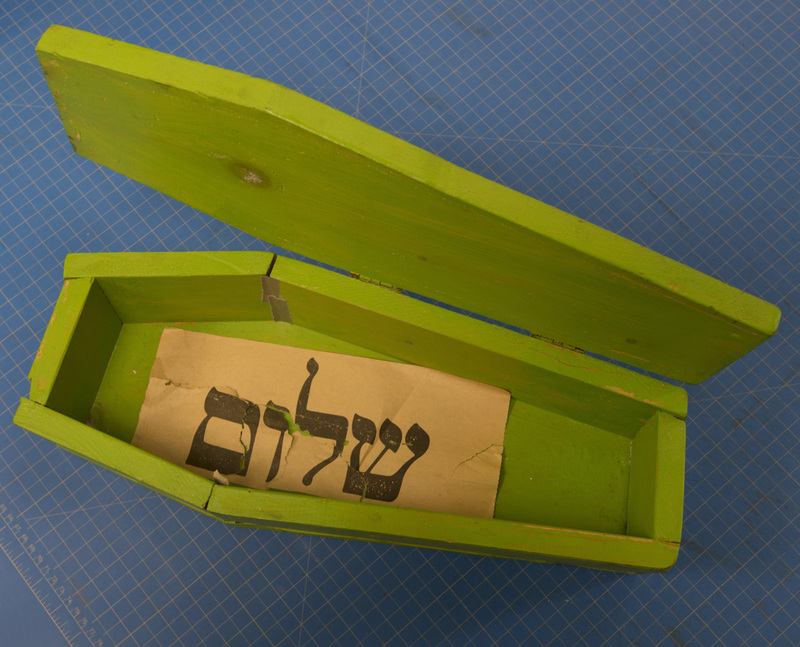 For the Ransom Center, the challenge was how to preserve a coffin full of sugar? The Center’s Curator of Film wanted to keep the object in its original form, so the coffin was encapsulated in Mylar to prevent the sugar from spilling out. 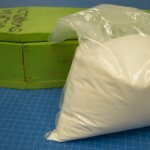 After many discussions we decided to remove the sugar and place it into several polypropylene bags. Unbeknownst to us, Anger had another message for Swanson. As I was removing the sugar, I noticed there was a word in Hebrew printed on a piece of newsprint that translated as “shalom.” No one at the Ransom Center had seen this before or knew that it was there. Consequently, I encapsulated the newsprint in Mylar, placed the polypropylene bags with the sugar inside the coffin, and constructed housing for the object, an amazing item to have in the Ransom Center’s care. 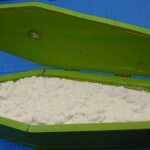 The sugar-filled coffin prior to its housing treatment. Photo by Apryl Voskamp. 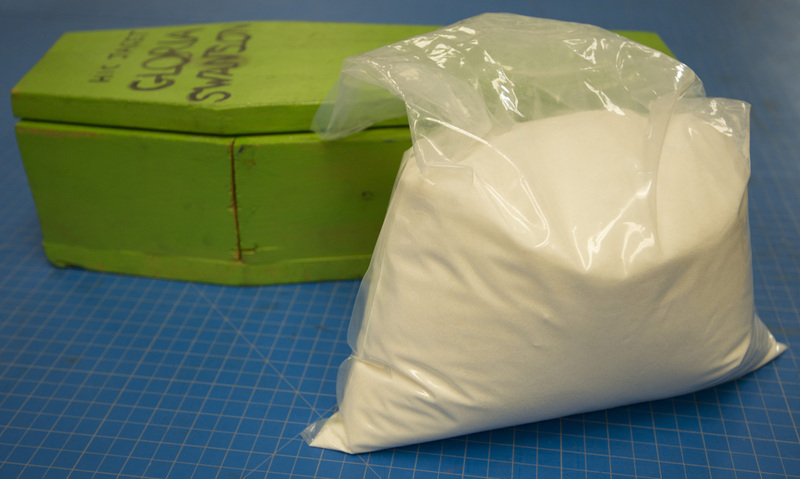 Removed sugar from the coffin and bagged in polypropylene. Photo by Pete Smith. 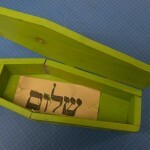 Paper found underneath sugar, with word “shalom.” Photo by Pete Smith. Blood runs through the archive of renowned actor Robert De Niro. From bloodstained props to grisly costumes, artifacts of some of Hollywood’s most iconic thrillers are preserved at the Harry Ransom Center. Although the fake blood that marks these materials might share a similar chemical makeup, each bloody stain has its own secrets. 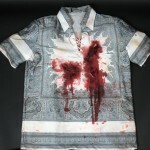 One such artifact is a shirt De Niro wore in a Cape Fear (1991) fight scene that has several gashes surrounded by fake blood. Twenty years later it is still sticky to the touch, which has posed complicated housing issues. 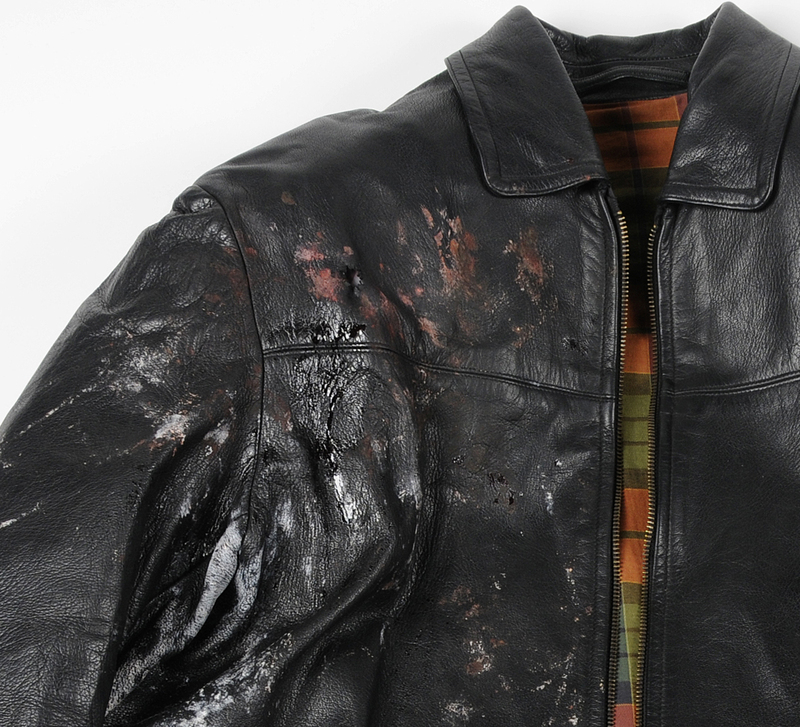 The tackiness of the blood is what made this artifact a preservation challenge because traditional archival materials used to cushion textiles were adhering to—rather than protecting—the shirt. I learned that silicone-coated polyester film proved to be the best storage solution. I learned that fake blood recipes vary depending on the specific effect a director or special effects supervisor aims for in a movie. For instance, in the film 15 Minutes (2001), the blood contained titanium oxide to give it an opacity that would photograph better. 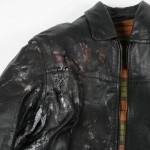 In the film Ronin (1998), the fake blood’s consistency enabled it to splatter from an explosive blood bag apparatus in the armpit of De Niro’s jacket. These “bloody” artifacts have proven to be a puzzle to conservators and curators since knowing the makeup of these fake blood recipes poses issues when it comes to storing and exhibiting cinema history. 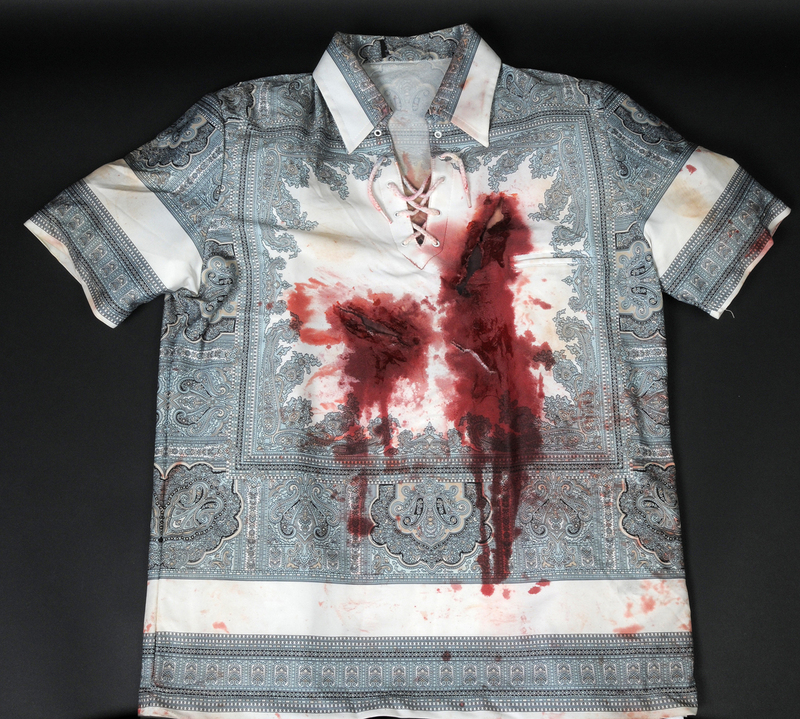 Shirt worn by Robert De Niro in “Cape Fear.” Photo by Anthony Maddaloni. 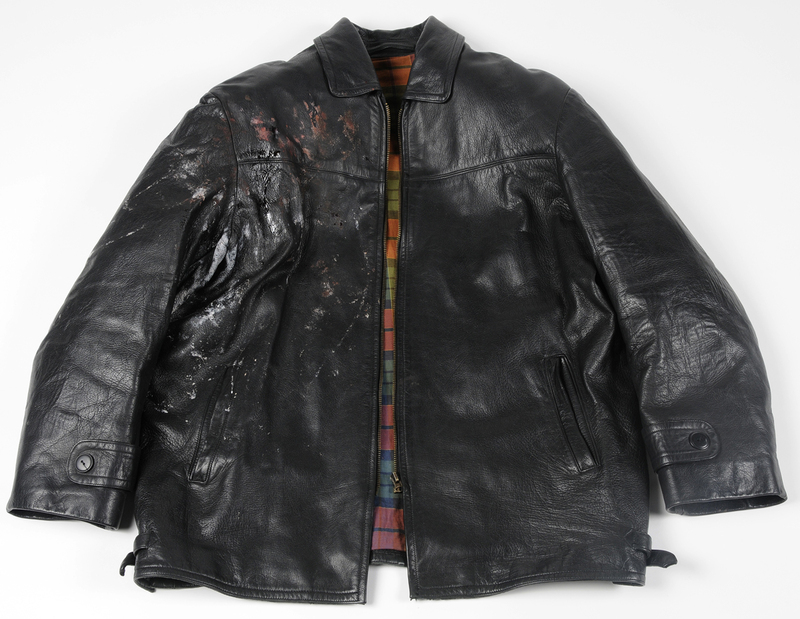 Jacket worn by Robert De Niro in “Ronin.” Photo by Pete Smith. 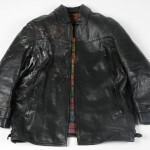 (Detail) Jacket worn by Robert De Niro in “Ronin.” Photo by Pete Smith.